Tens of thousands of homes have been brought into the coverage area of the BBC's national DAB multiplex within the past week, and thousands more now have more robust reception of the service. Latest BBC data confirms that a further seven transmitter sites were added to the network on 30th June 2015, including Haverfordwest in Pembrokeshire and Swingate in Kent, where commercial multiplex Digital One also boosted its coverage last week. 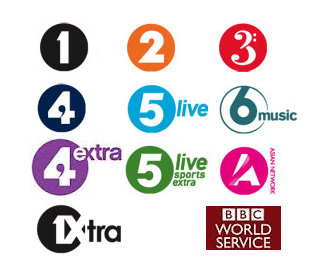 The roll-out of additional DAB transmitter sites broadcasting the BBC's national radio stations is part of the broadcasters fourth phase of national DAB roll-out, which is due to complete by the end of the year, when 97% of the UK population will be covered by the signal. In my area (Wembley, Middlesex), reception on Freeview TV is completely useless. It breaks up more often when a good program is on. Thank god I also have Freesat dish so I can switch quickly when this happens. Any ideas where and to whom should I complain about this? Before you complain, there's just a couple of things you need to check (which broadcasters may assume you've done before you contact them). 1. Check with neighbours to see if they also have problems receiving Freeview. If they are having problems, it may be due to a local source of interference. 2. Check that your outdoor* aerial is OK, including cables and connections leading to the aerial. Wear and tear will happen over time, especially when exposed to the elements. * Freeview coverage predictions are based on outside aerials. If you have an indoor aerial, there will be no support against local interference.